Anyways, I have no idea how to change the apple ID here! So I'm left really confused now.. any ideas? Browse other questions tagged applications mac-appstore . How do I troubleshoot “An error has occurred” when trying to update the Kindle app in the Mac App Store? 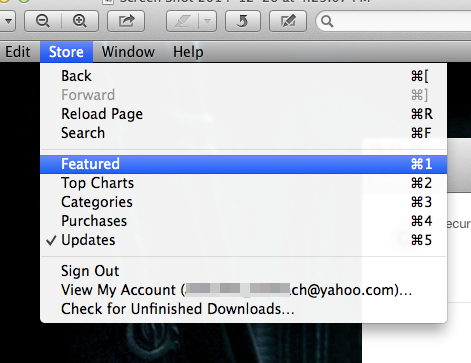 Mac App Store updated an app, app doesn't know? Force Re-Download of El Capitan from the App Store?